Marvel fans worldwide were stoked to finally hear the news that Spider-Man was at least in part coming home to the MCU in Captain America: Civil War next year. Once Marvel and Sony had come to terms, the hunt for the next Spider-Man was on and Actor Tom Holland was the winner. During a recent interview with The Daily Beast while promoting his new film Into the Heart of the Sea (which stars Chris Hemsworth) Holland discussed the lengthy process that it took for him to become Spider-Man. When he first learned that Marvel was searching for their next Peter Parker, Holland immediately contacted his agent to discuss submitting for the role. To his surprise, he was informed that Marvel had already put him on their radar and requested that he submit for the role. That alone was crazy. I couldn’t quite believe that Marvel knew who I was. Not to say that Holland was destined to enter the Marvel Family, but after submitting two audition tapes he went to work on Pilgrimage – a movie in which he would work with Jon Bernthal (who had been recently cast as The Punisher in the Daredevil Netflix series). 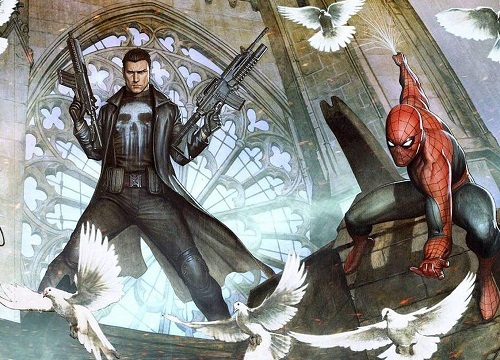 Bernthal actually assisted Holland with his third audition tape (Punisher helping Spidey is pretty cool if you ask me). Clearly Marvel wasn’t playing around and wanted to be absolutely certain that they had just the right guy for the part. Understandably so – fans have been clamoring to bring Spidey home to the MCU for years. This was a hugely important role to fill with just the right person. Next up was an in person audition and then a screen test with Robert Downey Jr. and Chris Evans. Imagine what was going through his mind, auditioning to play Spider-Man, and standing there with Iron Man and Captain America! Nervous? Maybe, maybe not. We had to do a movement test and then I said, ‘Can I just demonstrate some of the things that I can do?’ and they all were a little unsure of what I was talking about, and then I did a series of backflips and landed on the X, and was like, ‘Thank you!’ and then just left. I would have loved to have seen the looks on everyone’s faces! Talk about dropping the mic. Finally, Holland did of course land the role of the famed webslinger. How did the amazing news reach him? 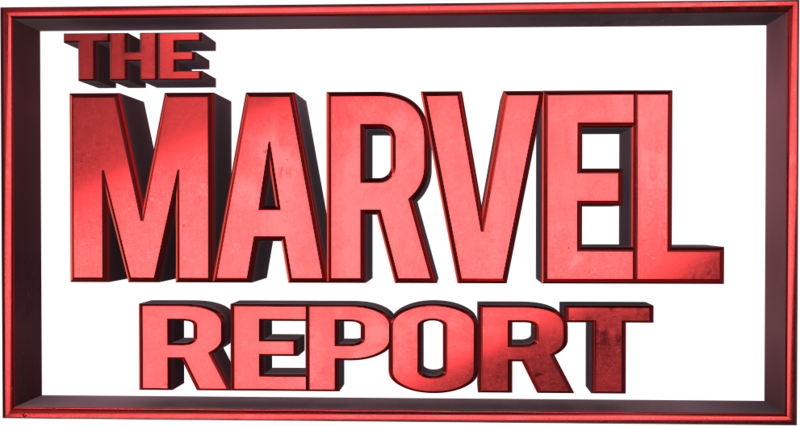 Just like it did the rest of us – when Marvel posted the announcement on their website. Kevin Feige called him personally shortly afterwards. Then I got a phone call from [Marvel honcho] Kevin Feige, who said, ‘I just want you to know that we’ve cast you as Spider-Man,’ and I thought, ‘I know! I already saw it online.’ But he was very nice and welcoming. Finally the actor also briefly discussed the currently untitled Spider-Man movie which is due to come out the following year, on July 28, 2017. It’s not The Dark Knight. One of the special things about what we’re going to try and create is that you’re going to see the biggest independent film ever. It’s not going to be an epic thing; it’s going to be a film surrounded by these incredible things, but that follows this boy and his life. Peter Parker is a favorite of many because everyone can relate to him, and we’re going to try to make everyone relate to our Peter Parker. And John Hughes is a perfect example of what we’re going to try and do. Very little has been announced about the Spider-Man movie, but you can bet Marvel fans everywhere are anxious to find out more. Review: Ultimates #2 — WHAT?? ?